Developer: the one using the Adobe Reporting API? FM: yup. I still owe you an exact description of the report… so I sat down yesterday and tried to get the data in the right format out of Adobe Analytics like the Webanalytics for Developers blog says. I got pretty close. Can I show you and can we discuss? Developer: you bookmarked it? What’s the name of the bookmark? FM: uh… “report for display”, I think, why? Developer: no need to talk then anymore. You’ll have a prototype by the end of the week. 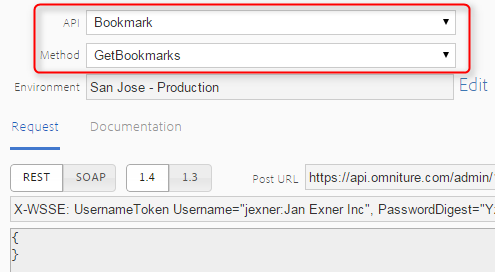 Did you know that the API gives you access to Bookmarks? 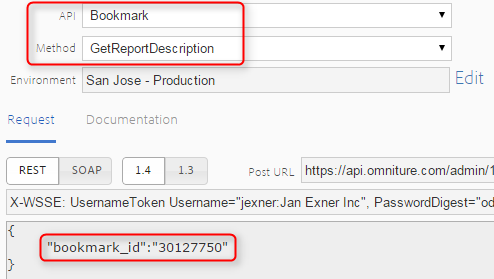 And that you can actually download a ReportDescription for a Bookmark out of that API which you can plug straight into the Reporting API? 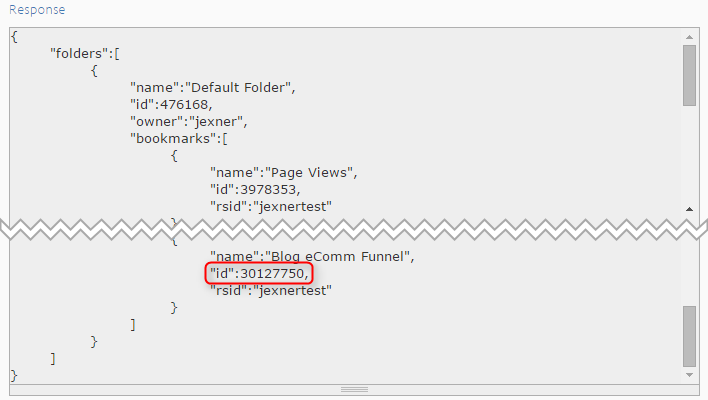 Let me show you, using the API Explorer and a bookmark called “Blog eComm Funnel” (I might write about that at some point). 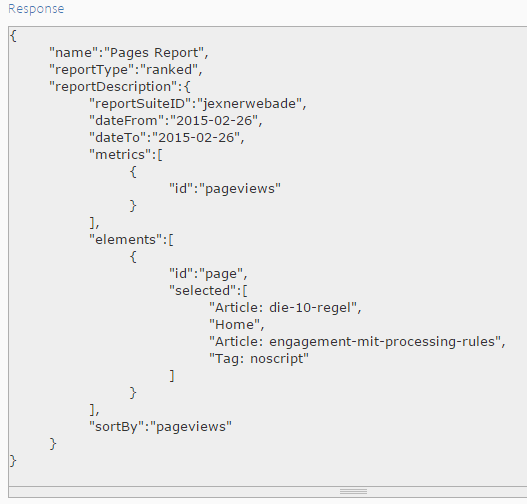 Go log into the API Explorer. The ReportDescriptions you get back include everything you need, including Segment IDs if the report has a segment applied. 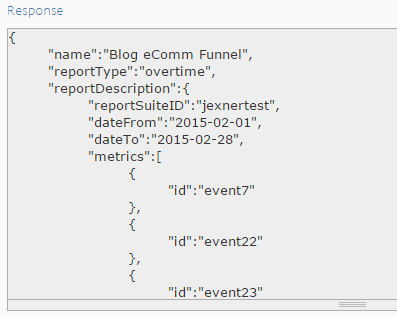 Remember how not all Analytics reports are available in the Reporting API? You probably tried to pull a ReportDescription for one of those that aren’t. In that case you will have to go back to your friendly marketer and work out another way of getting the data she needs. If your friendly marketer built a Dashboard instead of making a Bookmark, you have a couple of options as well. The GetDashboards method returns a structure that describes the content of each Dashboard. A lot of the content is actually handled similarly to Bookmarks, so you could use the bookmark IDs you get out of this report as well. Now this should make it a lot easier for you and your friendly marketer to specify what exactly she wants. P.S. : it feels wrong to dedicate something as profane as a blog post to a man who made such an impact in the world. LLAP.